Wolf Lake Terminals Vice President and Managing Director Kip Middendorf has worked alongside family members in the Midwest most of his life, from his first job on his family farm in Columbia, Missouri, to his current position at the family-owned liquids terminaling business based in Hammond, Indiana. Wolf Lake Terminals’ liquid storage facility in Hammond offers over 500,000 barrels of storage in 125 aboveground storage tanks, along with value-added services like contract manufacturing, toll blending, rail-to-truck transfer and laboratory services. Wolf Lake also operates the ISO 9001-2015 Certified Wolf Lake Industrial Center, a complex of three 200,000-squarefoot rail-served buildings, one of which is home to Wolf Lake’s public warehousing company, Post Warehouse Corp. “At Post Warehouse, we offer many value-added services such as drum and tote filling in a food-grade white room, customs-bonded storage and rail-to-truck transfer,” said Middendorf. “Post Warehouse excels at providing special customer-specific services not usually associated with third-party warehouse providers. In addition to these two businesses, Wolf Lake Terminals also operates Tanco Terminals, a 290,000-barrel liquid storage facility located within the Port of Indiana- Burns Harbor in Portage, Indiana, and Tanco Clark Maritime, a 248,000-barrel liquid facility with 15,000 square feet of warehouse in the Port of Indiana- Jeffersonville. Built in 1977, Tanco Terminals was one of the first tenants of the Ports of Indiana and currently operates as a distribution point for liquid asphalt and fuel oil. Tanco Clark Maritime sits directly across the Ohio River from Louisville, Kentucky, within one day’s drive of over two-thirds of the U.S. market. Both are accessible by barge, rail and truck. Middendorf said his primary goal in his position is to continue his company’s almost half-century success streak as a family-owned fixture in the Midwest. “My goals for our company are to continue the success that we were founded upon, growing our business through a conservative and logical strategy, but most importantly, continuing to provide a stable place of employment for our team for the betterment of our employees and their families,” he explained. “We take pride in our 48 years of being a privately held company and in doing business with some of the largest manufacturing companies in the United States. Our company is a small but valuable family business that competes in an industry dominated by large corporations. Wolf Lake now employs an environmental health, safety and security manager to oversee all of its operations and to communicate with each regulatory and community organization related to its facilities. Middendorf said the best strategy for addressing these issues involves both strategic investments and fostering a sense of close-knit teamwork in your company culture. “Our success is attributable to the success of our staff,” he said. “We promote a team environment in which each person doing his or her job leads to success for all of us. “We see our company continuing its steady growth through disciplined business decisions and conservative, logical investments. I try to remember, recognize and be thankful for each new business success, no matter how small. In business, we are continually confronted by challenges or problems to overcome. It is important to acknowledge our successes. 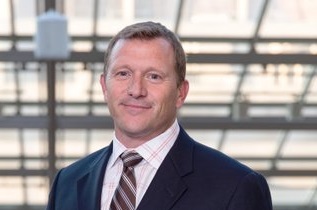 In addition to his work at Wolf Lake, Middendorf seeks to advance his industry by serving on the board of directors of the International Liquid Terminal Association (ILTA), of which he is currently treasurer, and as a regular member of the Petroleum Packaging Council. Wolf Lake is also a supplier member of the Independent Lubricant Manufacturers Association, whose member companies produce more than a quarter of the nation’s automotive lubricants. For more information, visit www.wolflakeinc.com or call (219) 937-4300.